Přestavba železničního uzlu Praha – Nové spojení – založení železniční estakády v Husitké ulici - Zakládání staveb, a. s.
The construction of a new railway bridge is a continuation of a formely opened new bridge over Seifertova Street; the bridge dnes at the west tunnel portals under Vítkov hill. 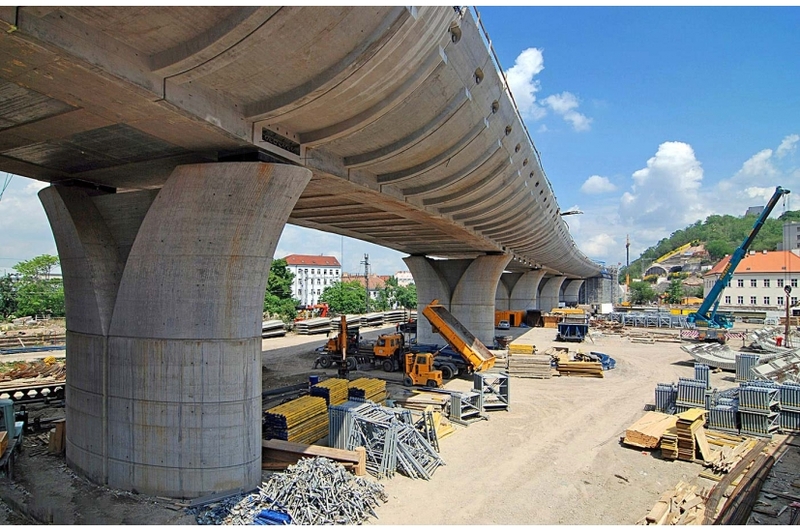 The uniqueness of the bridge concept lies in the fact that its four railway tracks are elevated by one joint structure only and supported by a single pier. The elevated bridge is founded on a total of 11 such piers and two abutments. 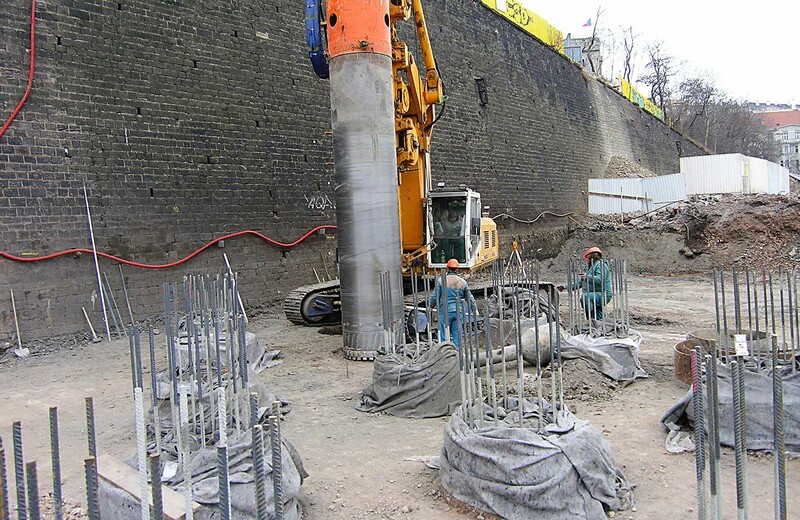 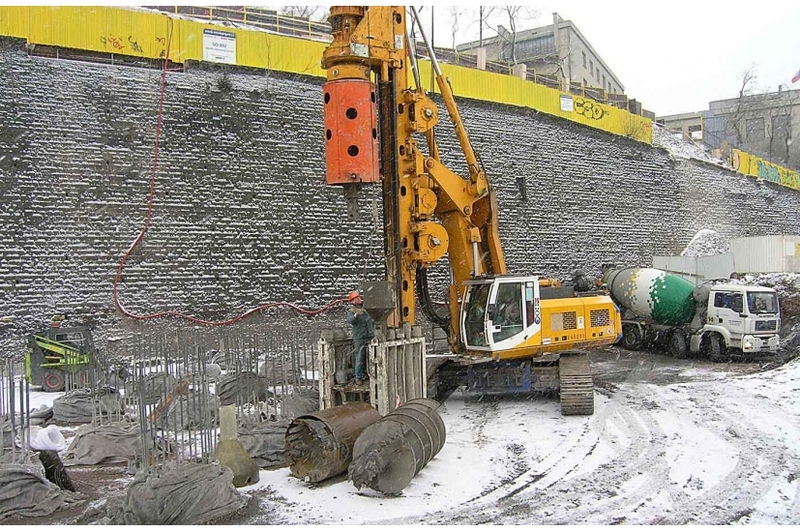 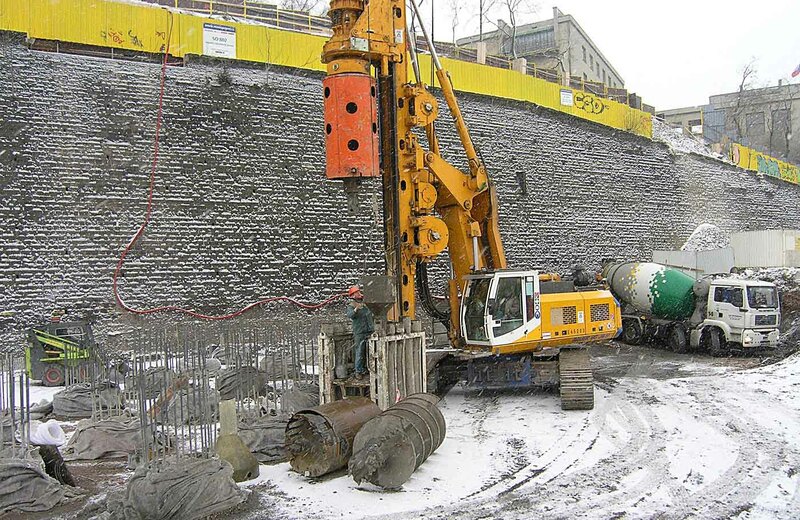 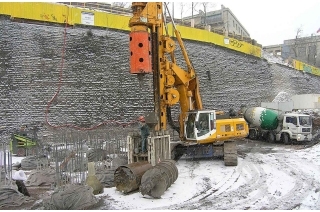 The pier foundations are mostly carried out with groups of 18 piles (1500 mm in diameter); the abutment foundations are made of 78, or 47 piles (1200 mm in diameter). The realisation of abutment piles adjoining to the main railway station required building of a working platform secured by a braced anchored rider wall.